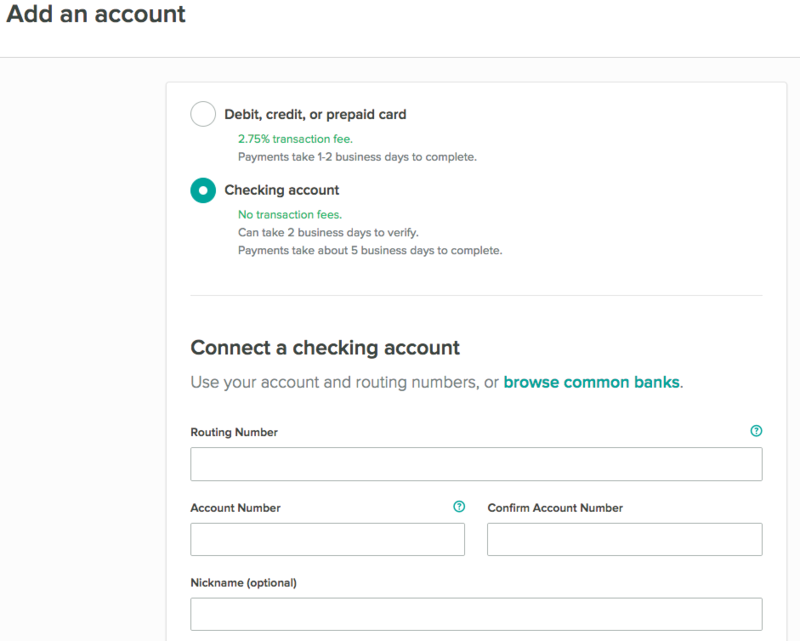 You can add a checking account for ACH transfers in two ways: using your online login (only available for some financial institutions), or manually by typing in your bank account and routing number. 4. Fill in your checking account and routing number, and click "Add Checking Account"
6. 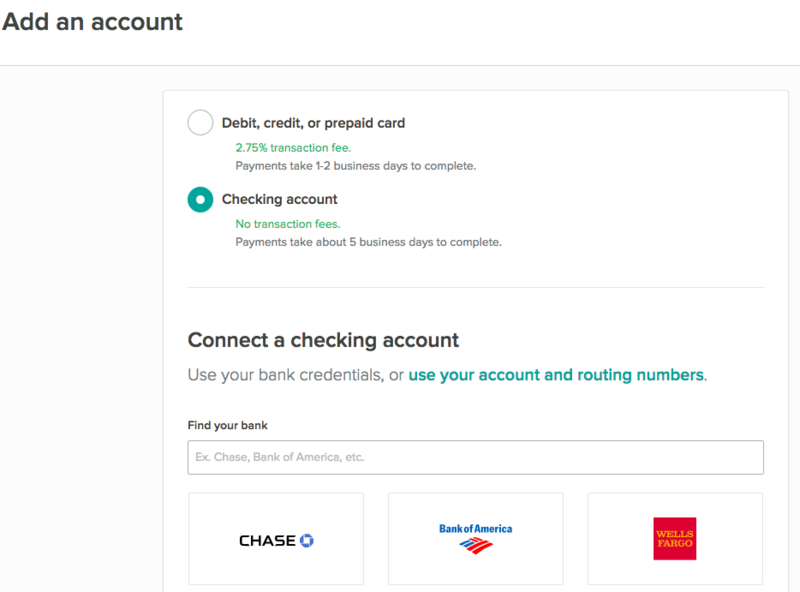 Follow this guide for verifying your account: How do I verify my bank account?